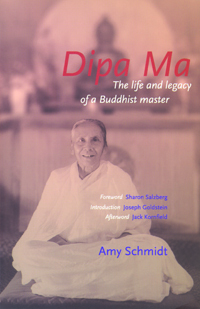 Dipa Ma was an accomplished yogi, devoted mother and grandmother and inspiring teacher to students of such well-respected western Buddhists as Jack Kornfield, Sharon Salzberg and Joseph Goldstein. Amy Schmidt’s unique account of this remarkable woman’s life and legacy is now back in stock on our website. Here’s an interview with the author, and a short video she has put together, which gives us a lovely insight into the woman behind the book.